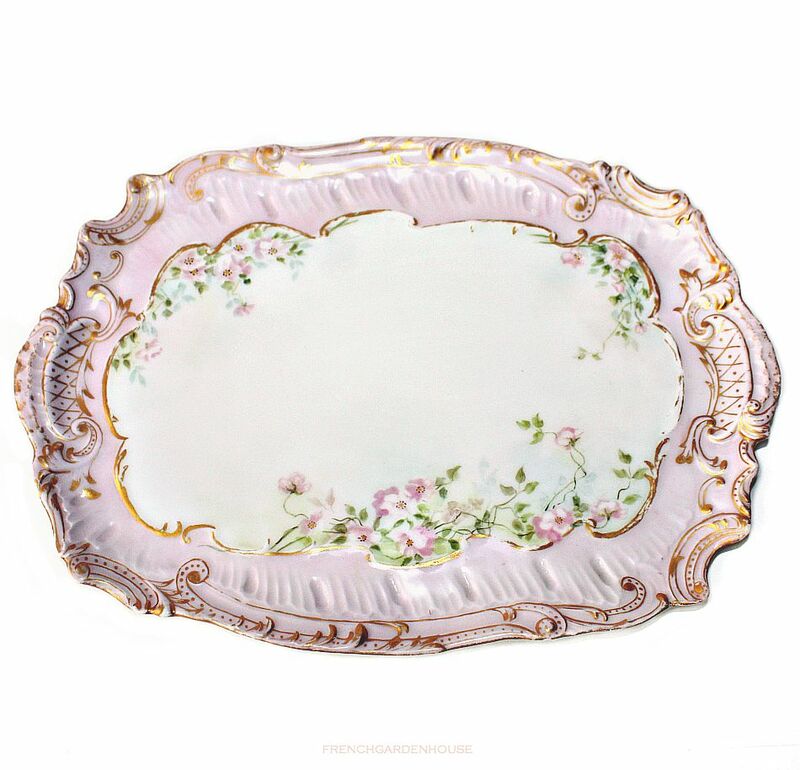 Exceptionally gorgeous Antique Hand Painted Limoges Porcelain Ice Cream Tray adorned with soft Pink Wild Roses around the pristine White center. 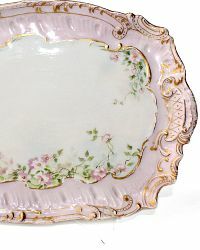 Beautifully well-painted florals, enhanced by a stunning framework in the softest, most romantic shade of Pink. The blank used for this delicious confection has all the scrolls and cross-hatch work we love, accented with hand painted gilt detailing. 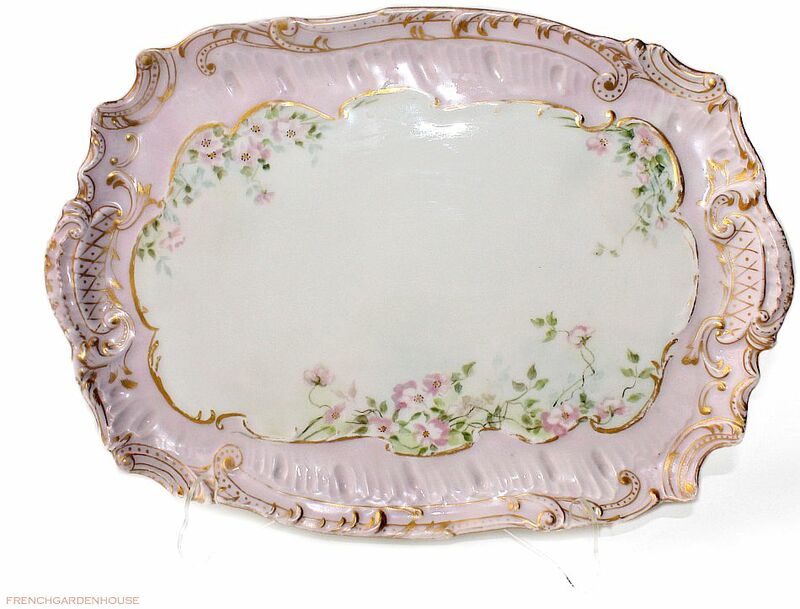 So decorative, in a rare to find color of Pink, whether serving guests dessert, or using this tray to showcase an anitque perfume bottle collection in your boudoir or bath, it's divine! 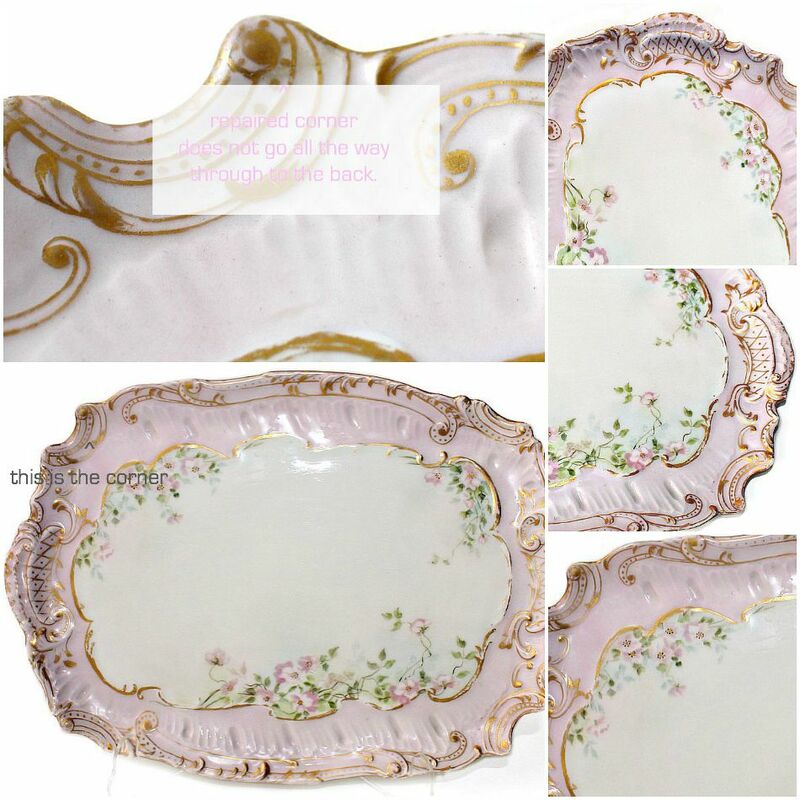 Over 100 years old, there is an old repair on one corner, it was a little flake that was repaired long ago. Please only purchase this collectible beauty if you can live with her showing her age a tiny bit.